This year almost 3000 new chiropractors will graduate and enter the work force in North America. Armed with the knowledge necessary to pass the national examination and the particular idiosyncratic obstacles of a state licensing board, these new doctors will discover that their education has just begun. The curriculum at most chiropractic colleges rarely emphasizes the skills necessary to exchange these valuable healing skills with patients in a win/win relationship. 1. The insurance environment has changed. Today $100 deductibles are merely a fond memory. Nowadays, fewer patients even have chiropractic coverage in their health insurance, are members of HMOs lacking chiropractic coverage, or have deductibles that match a typical case average. 2. There is more competition. Time was when a new graduate could begin practice in a small town and be the only chiropractor for miles around. Today there’s a chiropractic office next to every shopping mall, yogurt stand, and convenience store. Differentiating their office from the chiropractor down the street is a challenge few doctors have had to face in the past. These are significant changes that challenge status quo approaches for launching a new practice. No longer is it enough to simply locate a new office at a location suggested by a high traffic count. There’s probably already a chiropractic office there, plus, it may not be in an area of town where the types of patients you’d especially enjoy serving live or work. 1. Develop a mission statement. It sounds so unglamorous and low tech that most graduates won’t do it, but it’s the most important thing you can do. Without articulating on paper the “what you want to do,” “who you want to do it with,” “the how you’re going to do it,” and “the measurable result for having done it” you’re in for a lot of frustration and unfulfilled pipe dreams. Brainstorm these components and fashion a short paragraph of three or four sentences that can serve as a benchmark for the first several years of practice. Your purpose can change as you mature, but you need a launching pad to get started. 2. Identify your ideal patient. Again, it sounds so unromantic at a time when you want to get your hands on some patients and see the power of chiropractic work, but if you don’t, it’s easy to wake up several years later, trapped in a practice you don’t even like. I’ve talked to doctors who actually resent their patients! You treat patients you especially enjoy serving better, than those whose poor hygiene or negative attitudes causes you to dislike them. 3. Become an associate. I know what you’re thinking. You’ve got the money and the ambition to start off immediately on your own, but you shouldn’t. The temptation to put school behind you and prove to the world that everyone else is wrong can be pretty compelling. But I’d want to get some experience in the real world before marching off to my own drummer. Sure, associate relationships are often win/lose, but take the slave wages and use it to perfect your technique, see how a real office functions, and build the tableside manners necessary to have a successful practice of your own. 4. Take a vacation. It’s not what you’re thinking! 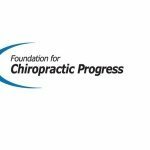 Find out the names of doctors who have a big vision for chiropractic, use a similar technique, and share your value system. Then take a trip. Make arrangements with several of these doctors in an area a day or two away by car and take a tour. Go on rounds with the doctor. Ask questions in the hallway between patients. Buy the doctor a meal. Pick his or her brain. But most of all, soak up the headspace and the systems the doctor is using that allows the practice to make such an impact in their community. You might want to do things differently, but at least your brain will be enlarged by the experience. 5. Use direct mail. Shave off the facial hair, remove the earring, get your hair styled, and put on your best professional clothing. Then get a great photo of yourself taken. Contract with a graphic designer (use the yellow pages) and have them use this photo in a simple direct mail piece. Besides your photo include 1) a statement introducing yourself and your background, 2) some brief copy that overcomes some of the misconceptions about chiropractic and why you’re different, 3) and explain your availability by phone during a certain time on a certain day to answer any type of health question anonymously over the phone with no obligation, and 4) a call to action to find out what the “latest state-of-the-art chiropractic is all about.” Mail it to a 3-5 mile radius of your new office. 6. Start outside speaking. Deny it if you want, work around it if you have to, but your ability to speak at civic groups, senior citizen luncheon programs, and other community functions is one of the best and least expensive exposures for chiropractic and you. Plant seeds that may take days, weeks, months, or years to bear fruit. The key is to get out of your “box” and share what you do with complete strangers. Overcoming the fear of public speaking will make the fear of practice failure seem like small potatoes! 7. Conduct office tours. Make sure that everyone who even pokes their head into your office gets a tour and an explanation of chiropractic. Before you give the UPS delivery person the signature they want, drag them around your office and give a three-minute explanation of chiropractic. Same with the phone installation person, the water delivery person, the cleaning people, and the copy machine salesperson. Heck, just asking for salespeople to come to your office for bids on your telephone system, copy machine needs, letterhead and business card printing, and liability insurance could keep you busy with countless opportunities to explain chiropractic to potential patients! 8. Send congratulation letters or postcards. Spend time each day clipping articles in the local newspaper announcing births, achievements in slow pitch softball league, promotions, and other accomplishments. Use the city directory at the library over your lunch hour to find addresses. Mail these “famous” people a copy of the article. Include a blurb about yourself and the “success” you offer patients or the “promotion” of good health you offer, or the “winning” ways you have with many types of health problems. Don’t over do it–just a line or two. Your mission is simply a method of getting your name out in a classy way that avoids a hard sell. 9. Work out. It sounds strange but you need to be in shape to handle the stress and pressure. The only way to do that is to be in tip top physical condition. Plan to give yourself 20 to 30 minutes of vigorous physical exercise every day. Increase your lung capacity and the health of your cardiovascular system. Get ready to handle the demand for your unique and highly-effective approach to healthcare. 10. Rent some movies. It’s time for inspiration! Go out and rent some of the early Rocky movies. Search out films that show ordinary people overcoming great obstacles to right a wrong or carry the banner of truth and justice forward. When I need a kick in the pants I rent Tucker and Field of Dreams. They always get me back on track. 11. Read non-chiropractic books. Since you’ve got chiropractic figured out now, the remaining uncharted territory is how to think like a successful small business person. Read some books that explain the relationship between customers and service providers. My favorites are The E-Myth by Michael Gerber, How to Win Customers and Keep Them For Life by Michael LeBoeuf, PhD., Customers For Life by Carl Sewell, Marketing Without Advertising by Michael Phillips and Salli Rasberry, and Positively Outrageous Service by T. Scott Gross. Maybe you don’t feel comfortable with all of these ideas, but somewhere here you should feel empowered to go forth with confidence, knowing thousands of chiropractors go before you, proving it’s possible. I’m sure there are many other ideas, but these should get you started and still allow you to respect yourself in the morning. Congratulations and good luck!